Your new blog is beautiful! Your new blog is beautiful, and it is definitely perfect for you. Linda did an awesome job! I worked with her a couple years ago, when I was blogging at Magnolia Cottage. She was a joy to work with. Oh my I do love the new look- especially the header! It looks wonderful! So soft and feminine. Love it! Celestina Marie you should be very pleased, Great Job Linda the blog looks fantastic and very professionally done. The header pops! Hello Celestina, I love the new blog design! So nice that you and Linda worked together on this!! :) Linda if you see this you did a great job!! :) I wish you happiness with your blog. Take care and have a lovely week. Beautiful Celestina! Linda does lovely work! I absolutely love the new look, Celeste...very soft and feminine. Linda did a fantastic job! the new look of your blog is absolutely gorgeous. I love especially the header, very romantic! Love your new blog header! Pretty, creative and so you! Beautiful. Made me smile - it is so you!! I love your new design - it's so you. Linda did a great job. Will have to have her help me as I am not very good blogging. It's so beautiful Celeste! I love all the colors and the banner is so pretty! Love the new look to your blog and everything is clear and easy to navigate. Linda did a beautiful job and you must be happy with it. Celeste your new look is exciting and pretty. I LOVE your new Blog design! It is wonderful! Linda really is a wonderful Blog designer! Sending sweet hugs your way! Isn't Linda the absolute best of the best! I adore this lady and she works wonders for us all! I love my new look and I love yours too, you are so going to enjoy it! Wow, your new look is wonderful. Linda did a great job on your blog redesign. I'm loving the new blog look! Your new blog design looks beautiful, Celeste! Linda is so sweet and talented, just like you! I love your new blog design! Beautiful! It looks so beautiful, dear Celeste, I love the romantic country look, the beautiful colors and all. Congratulations !!! Very pretty! Love the new lettering in your name! Looks great, nice and bright :) Hope your week is going well so far! I am finally HERE! 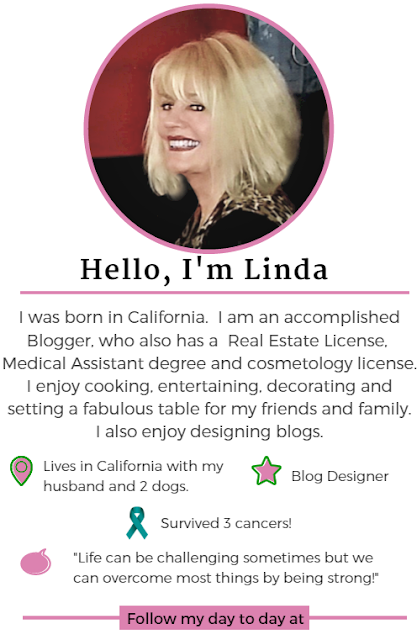 I just got here from Linda's blog and I am so happy to see she is busy helping out so many bloggers transform their page! Looking good my friend! Looks beautiful! Have a wonderful week! Love the changes, the new header is fantastic. This is so pretty Celeste. I love the colors, and how soft they are. 10 years blogging!! Wow, that's commitment. I recently re-did my blog, but using a very inexpensive template from etsy. It's nice to change things up a bit occasionally. 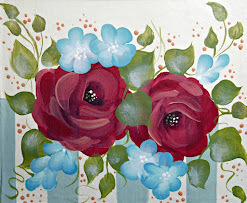 Linda is such a talented lady, and she has helped with another one of my blog friend's design on their blog. She also lives in California, not too far from me. I like your new blog design, Celestina. It's fresh and so very pretty. Hi Celeste! 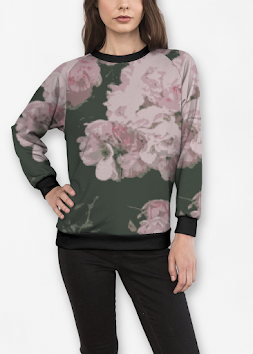 Oh, I love your new blog dress! Linda did a fabulous job as it looks like you! Linda is a gem as she has helped me with issues before! Thanks for popping in to see me and hope you're doing well. I love the new look Celeste. It pretty and romantic, just like you! Fairy Blog Mother that cracked me up----yes, fresh and clean ---always fun to clean out ANY space. Your new space just needs your doo-dads here and there...ya know...all that talent and nothing from your artistic hand. But I will love any look you choose...buried here in holidays and house do-over. Celestina, your new look is quite beautiful, soft and feminine just as yourself. Linda did a perfect job for you. Your new blog header is gorgeous, Celestina! Linda did a beautiful job of capturing just the right look and feel for you and all of your creativeness. Thank you for stopping by to visit my new craft space and for leaving such sweet comments. Thanks so much for the compliment on my new hair. I'm having fun with the waves and curls and getting used to the silver....lol! I've never seen your blog before, but I have to day I do like the design!!! Thank you, sweetness, for popping in to see me. I hope you're having a good weekend. Looks beautiful and very much "you". :) Linda is extremely talented and such a wonderful person! Your new blog design is lovely & soooooo YOU! I noticed it right away. 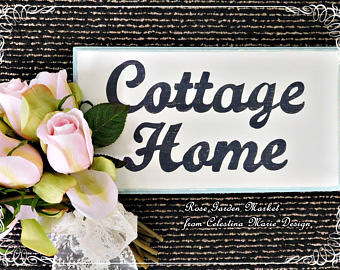 I especially like the cottage at the top & the pink bags with the google, FB, & Pinterest logos on them! Love it all. 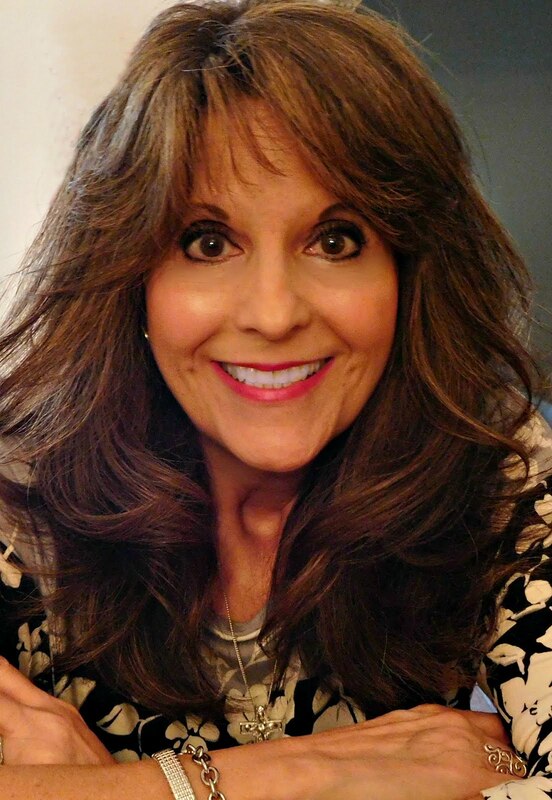 Linda did a fantastic job on your new blog design. She's such a talented and creative lady. And she doesn't live too far from me in northern California. I'm lovin' the pretty pink colors she chose for your blog.